Outstanding Wedding entertainment for your Wedding Ceremony and/or Reception can be found right here in Dallas/Fort Worth, Texas. 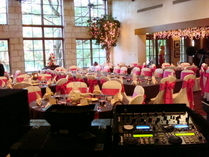 The quality of DJ entertainment you choose for your Wedding Day will truly make a statement. 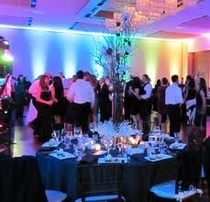 It expresses your desire to create a beautiful event and invite everyone you love to be a part of it. It sets the mood and ambiance of both your ceremony and/or reception. Choosing your Wedding Services and DJ Entertainment is an important decision and Parties Unlimited understands this. We will provide a setting that will create excitement, elegance, and lasting memories. Pre-Event Consultation (Prior to your wedding day we will carefully coordinate the entire event with you according to your requirements and needs. We provide Wedding Worksheets and Questionnaires. We also help with song selections, Special Dances and order of events if requested). On-Site Coordination (Our DJ’s will always maintain direct communication with clients Wedding Coordinator, Guest of Honor, Photographer, Videographer and Catering Staff. Before any Announcement or Activity is initiated by us, we will make sure the persons directly involved are in place and ready). Experienced DJ (Experienced professionals know when to play it soft and romantic, when to swing and when to Rock the night away. This is what we do best, Play the right music at the right time! We take into consideration the entire evening’s success. Our DJ’s have the ability to accommodate the musical taste of all your guest both young and old alike). Master of Ceremonies (Our DJ’s will act as Master of Ceremonies making all introductions and announcements in a professional manner). 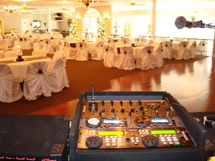 Tuxedo Attired DJ’s (Our DJ’s attire will always compliment your event. We understand that we might appear in some of your photographs and videos that will last forever). 35,000+ Song Library, Parties Unlimited knows that having a wide variety of music is very important. Our DJ’s carry a complete library of music from 50’s – 60’s, Country, Rock, Rap, Top 40, Big Band Era right up to today’s Hottest Hits. Advance Music Request, We allow you to choose the music you want to hear and the music you prefer not to be played at your reception. Guest Music Request. With your permission, Parties Unlimited will provide request slips that allow your guest to make appropriate song request to be added to our playlist, unless of course, it’s on the brides do not play list. 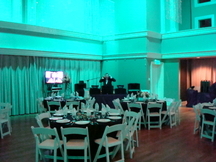 Professional Equipment (Parties Unlimited will always use professional club quality sound and DJ lighting equipment). Back Up Equipment (Our DJ’s always carry backup equipment to handle most equipment malfunctions). You can always be assured Parties Unlimited has you covered. Check our Availability for the Date of your Wedding Day. Give us your name and address and we will send you a Parties Unlimted Weddings package.